Fall Lines Piste charger for ladies, ski of the year!Salomon new S/Max W10 is a fantastic piste ski for the lady who wants to push it to its limit. 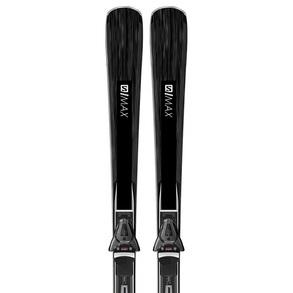 Will hold on all types of terrain, firm through the body of the ski giving great stability. It will give you instant access to feeling the perfect turn. Built on a powerful and stable sandwich sidewall construction, and supercharged with the new Edge Amplifier system, this modern, race-inspired rocket ship will have you laying down fast, precise turns from day one.